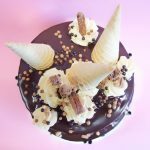 Never ones to turn down the chance to eat ice cream in the name of research, we naturally jumped at the chance to help the guys at Cornetto with this birthday gift for Perrie from Little Mix. 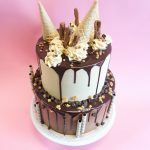 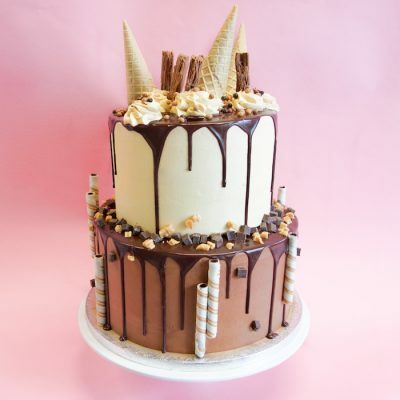 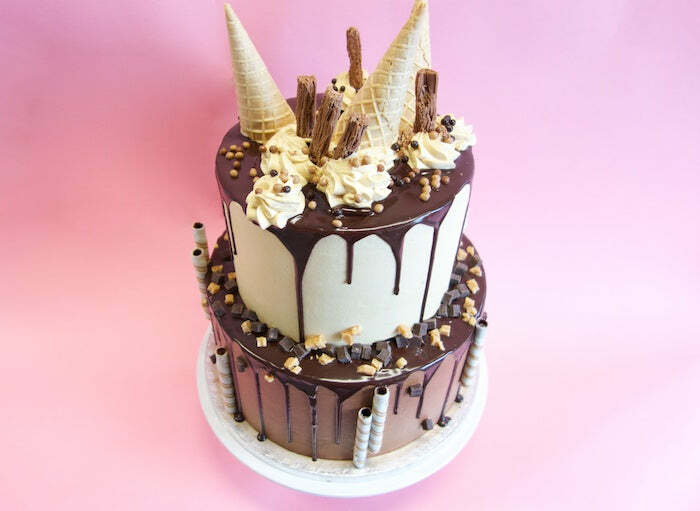 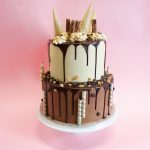 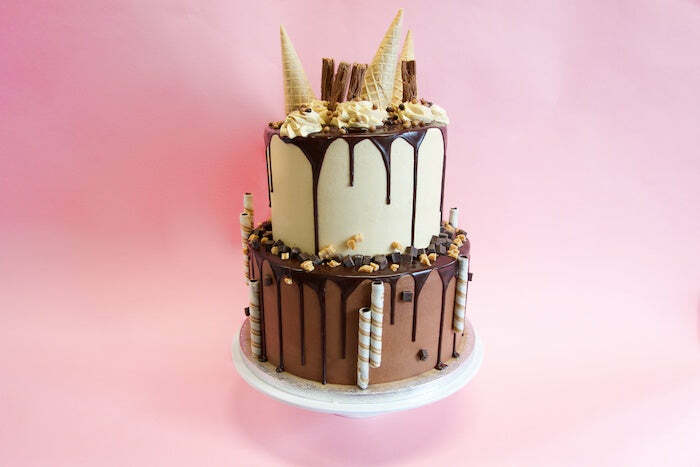 This decadent beast of a cake, based on a Choc Caramel Crunch Cornetto, is two tiers of rich chocolate and caramel sponge, covered in caramel buttercream and ganache, piled high with all kinds of ice cream related trappings. 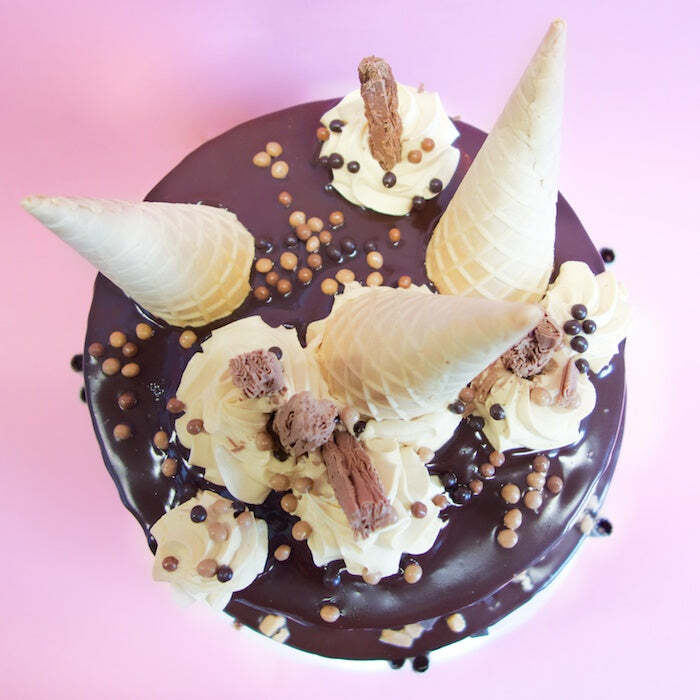 Now that the work is done, we probably deserve another Cornetto… right?